Go to your device Settings > General > Language & Region. 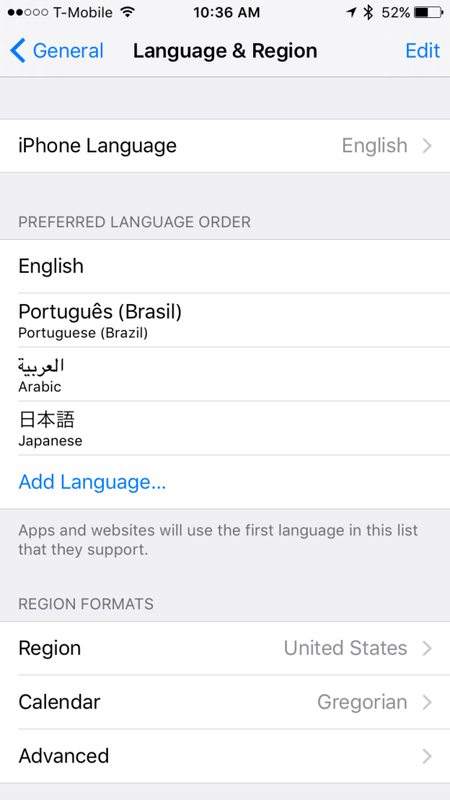 Drag the language you want to use with Day One to the top of the "Preferred Language Order" list. If we don't support that language, the first supported language from the top of the list will be used in Day One.